A slightly vague title as unfortunately I can’t remember where exactly this picture was taken: The loch you see in the foreground is either Loch na Cachle or Loch Clach a’ Bhuaile just south west of Loch Gorm. Saligo with the well known rock formation of the Opera House Rocks / Sleeping Giant in the background. 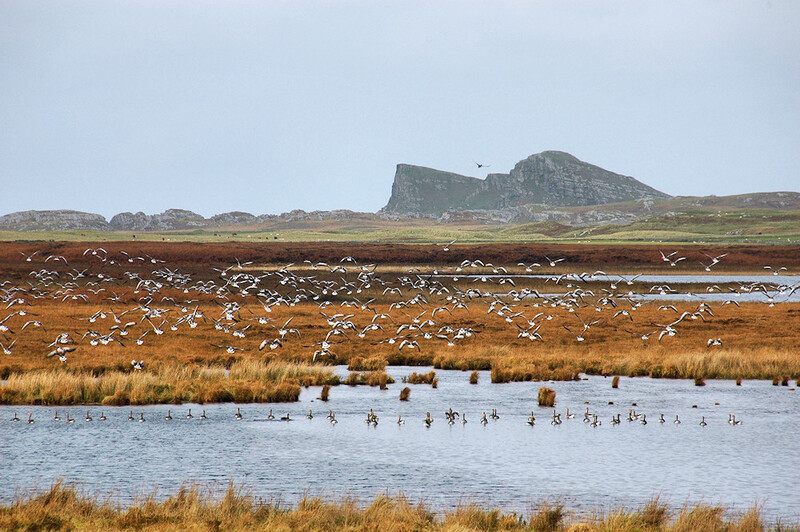 This entry was posted in Cloudy Weather, Freshwater Loch, Landscape, Repost, Wildlife and tagged Barnacle Geese, Islay, Loch Clach a' Bhuaile, Loch Gorm, Loch na Cachle, Opera House Rocks / Sleeping Giant, Saligo by Armin Grewe. Bookmark the permalink.